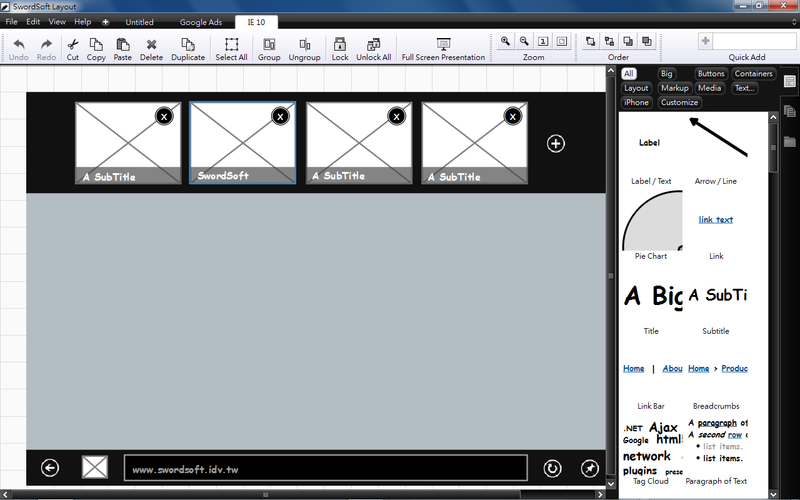 SwordSoft Layout - Tools for Creating Web Design and Software Mockups. 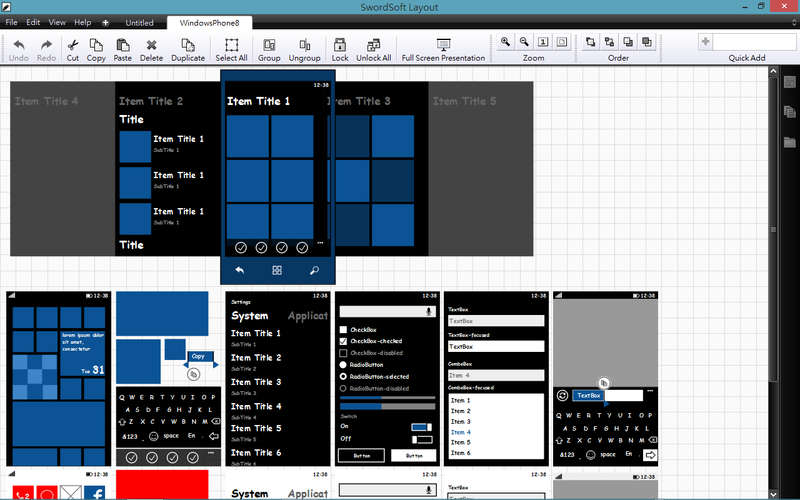 SwordSoft Layout is an desktop application that makes it very easy for you to create, preview, and manage mockups of your website, mobile application or desktop application. With so many UI elements to choose from, you can design anything. Some key features include: clean and clear interface, unlimited page size, multi-page document support,and multiple export options (bmp, jpg, png, svg, pdf). 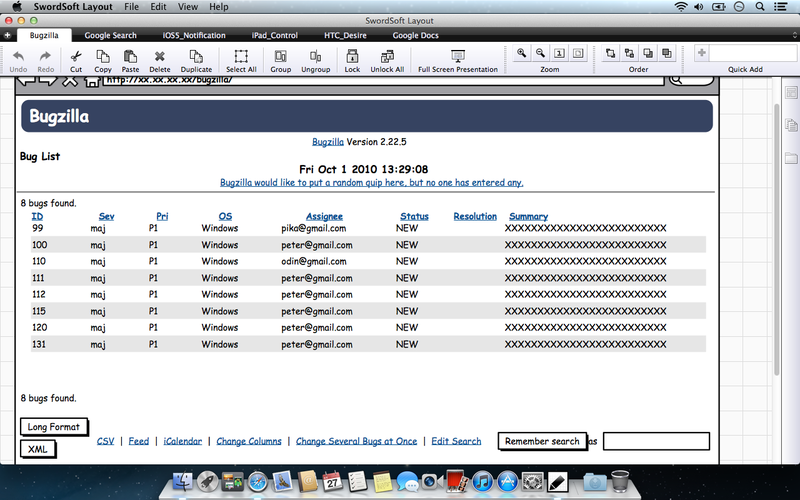 In order to handle multiple mockups easily, SwordSoft Layout uses a tabbed document interface. With 76 pre-built elements to choose from, you can design anything. 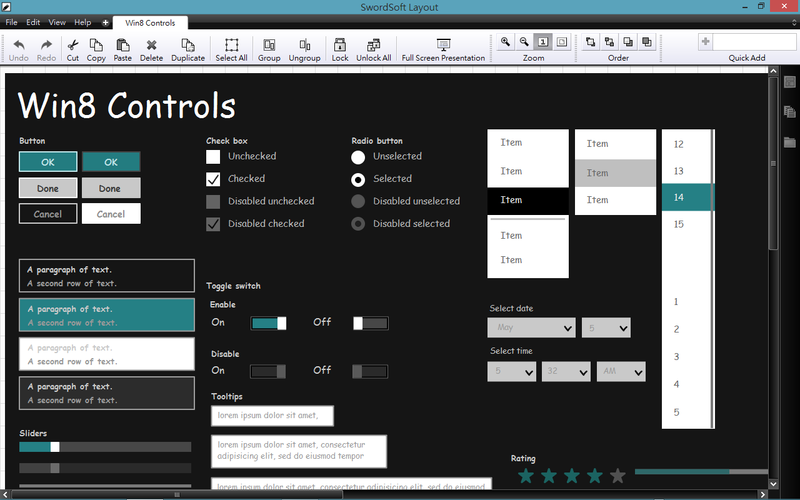 SwordSoft Layout is a rich WYSIWYG editor, allows you to design user interface mockups for your software and websites. Double-click group object, into edit group mode, can edit all objects in the group. You can create your own custom ui libraries. Insert image form local machine, web. 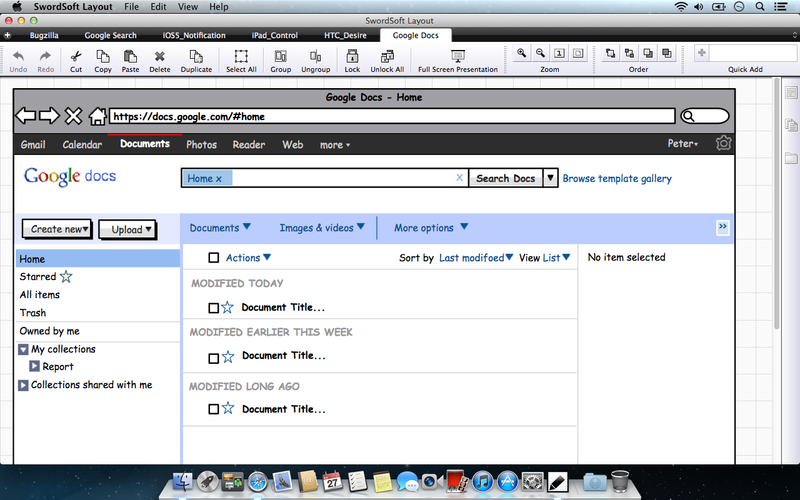 Or capture screen shots and insert them into your document. The presentation mode is an alternative "full-screen" view that allows you to browse your mockup with a minimum of distraction. 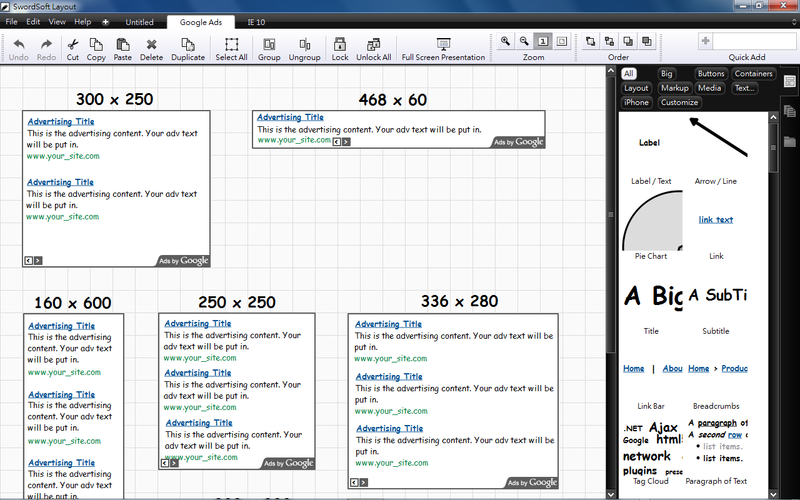 It allows you to link multiple mockups together. Can export your mockup as picture(*.bmp *.png *.jpg *.svg...) or PDF file. If you want to install SwordSoft Layout software full version on Mac OS X, please click the link below to open Mac App Store to buy and download full version. If you want to install SwordSoft Layout software free version (can't save and export files) or full version (need license key to activate) on Windows OS, please click the link below to download. If you download SwordSoft Layout by Google Chrome, you may get some warning like this "SwordSoft Layout.zip is not commonly downloaded and could be dangerous. Just ignore the warning and keep file. After you complete the purchase, the product license key appears on your receipt page. (A receipt page will also be sent to you via e-mail.) You will need this license key to activate your product, so be sure to save it. If you do not receive this email within 24 hours of your purchase please contact SwordSoft at your earliest convenience. Since you already installed the free version on your computer, you do not need to download the files again. Just enter your license key in the registration dialog to turn the free version into the fully functioning product. How to use a license key -> " How to register the product for Windows "